Let Jessie and Eddie welcome you to the Livingston Motel, Whakatane, where you can relax and unwind in motel accommodation in the sunny Eastern Bay of Plenty. The Livingston Motel is a fabulous base to enjoy the boutique shops, restaurants and the many local Whakatane activities. Our accommodation is composed of modern, spacious units, and most of them have their own private spa pools just fantastic for unwinding in. All units have air conditioning and heating units from our newly installed heat pumps. 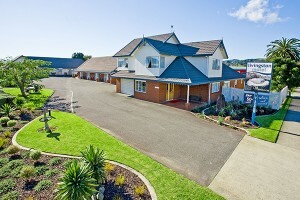 Our Whakatane motel units are all situated on the ground floor with ample parking. Make yourself at home, kick off your shoes and relax. We have plenty of outdoor seating to enjoy the sun, and comfortable beds and armchairs to relax in while you enjoy a DVD or any of the 50+ channels on SKY Guest Select. We have free high speed Wifi for catching up with friends and family, or the latest news. 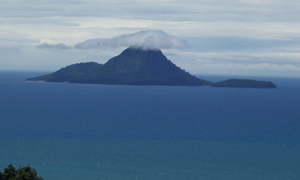 Whakatane is a fun and beautiful part of New Zealand. Check out some things to do or watch these local information videos. Come to the Livingston Motel to relax and unwind. “Great weekend away” We thoroughly enjoyed our stay at Livingston Motel. The hosts very very friendly and welcoming and helpful with advise about local amenities. The complementary snacks were a surprise and great to pop in our day packs on our adventure to White Island. Our room was very clean and pleasant and the bed comfy. We would recommend Livingston Motel to others and would happily stay there again. “Will definitely be back” Booked a 1 bedroom unit with spa & could not believe how big the main room was plus a smaller bedroom. Very spacious, clean ,well appointed & comfortable & the spa was very invigorating. Very friendly & helpful owners.